Greenpeace stated that "Malaysia has become the world's rubbish bin", reporting that in 2018 this country imported 754 tonnes of plastic waste from 19 countries. The town of Jenjarom, located in the Kuala Langat District, is now smothered in 17,000 tonnes (17mil kg) of waste . Jenjarom's proximity to Port Klang - Malaysia's largest port and the entry point for most of the country's plastic imports - has made it the ideal location for the importing of rubbish. There are 33 illegal factories in Kuala Langat alone, the district where Jenjarom is located. A quick walk around the sites reveals that a staggering amount of plastic waste comes from foreign countries, with a huge portion of it from Japan and the UK - as brands like Asda, Co-op and Fairy can be seen strewn around. Illegal plants get rid of plastic waste in cheap but extremely dangerous ways - both for the environment and for people's health - by burying or burning it. 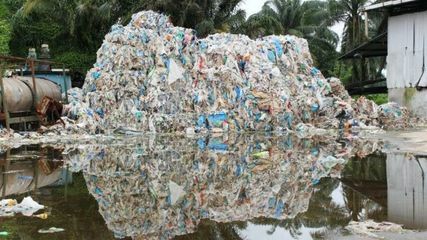 The same phenomenon occurs in other Malaysian cities and islands - like Pulau Indah  - making Malaysia the "rubbish bin" of the West . Residents in Jenjarom started to become aware of the presence of these illegal plants during the summer of 2018, when the toxic fumes released by the factories caused an odd smell that came every night, making it impossible for residents to sleep well. Also, many residents around the area started suffering from the direct consequences of waste dumping, with their health and well-being being affected every day . Local people reported respiratory diseases, like bad coughs; some also reported having coughed up blood clots. Children were also affected: they reported rashes all over their skin, and it became impossible to simply touch them because of the pain they suffered. 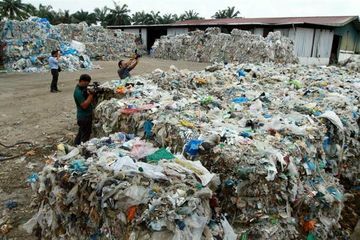 An initially small group of Malaysian villagers from Jenjarom, aware of what was happening in their town, soon turned into environmental activists: they started filming at night the activities of the illegal factories; they hired a drone to shoot footage of the tonnes of rubbish and they collected evidence in order to make reports for the authorities, alerting the media and the government . They set up the "Kuala Langat Environmental Association" in order to denounce and protest against the presence of the illegal waste recycling factories. Their charges led to the closing of many illegal recycling factories and the tightening of the governmental rules about waste imports. Even if the activists have reached some important objectives in order to solve the problem, one activist states that "these illegal factories can be very sneaky. They will pop up again in more hidden locations, so we have to continuously hunt for them" . 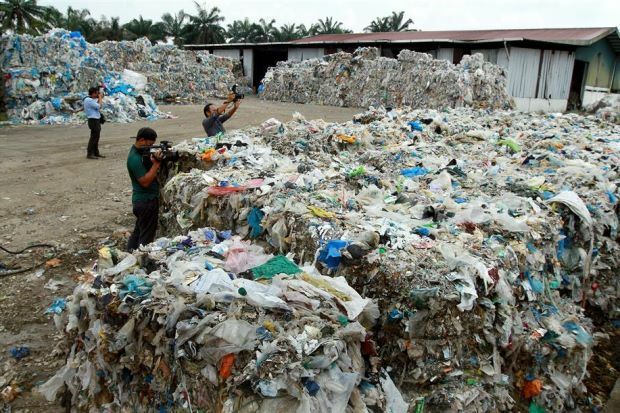 Although the Malaysian government has shut down 33 factories, the 17,000 tonnes of rubbish left by these factories are still there - and this number is not insignificant for a town of 30,000 . Most of this waste has been repossessed by the authorities, but a staggering 4,000 tonnes of waste plastic still sits on a single site - open to anyone who might walk by . Project Details Greenpeace stated that "Malaysia has become the world's rubbish bin", reporting that in 2018 this country imported 754 tonnes of plastic waste from 19 countries. Environmental justice organisations and other supporters Greenpeace Malaysia (http://www.greenpeace.org/seasia/about-us/Malaysia/). Other The toxic fumes released by the illegal factories were visible and perceptible by the residents of Jenjarom. Other The presence of illegal factories caused the exposure of locals to uncertain and unknown risks until the source of the problem has been discovered. Other Local activists had to secretly film at night the activities of the factories in order to denounce the phenomenon. The presence of these illegal plants could have increased local violence and corruption. Also, the health problems and the strong smell caused by the factories could have produced the abandon of the town by local people. Why? Explain briefly. Although the Malaysian government shut down 33 illegal factories so far, the 17,000 tonnes of rubbish left by these factories are still there. Most of this waste has been repossessed by the authorities, but a staggering 4,000 tonnes of waste plastic still sits on a single site - open to anyone who might walk by . Nevertheless, this event produces a consciousness within the residents about the environmental and the health risks caused by the presence of the illegal factories. In fact, the activists involved in the denouncements referred that "these illegal factories can be very sneaky. They will pop up again in more hidden locations, so we have to continuously hunt for them" , showing that they are inclined in moving on with their fight whenever needed. "Save Malaysia, Reject Foreign Waste"